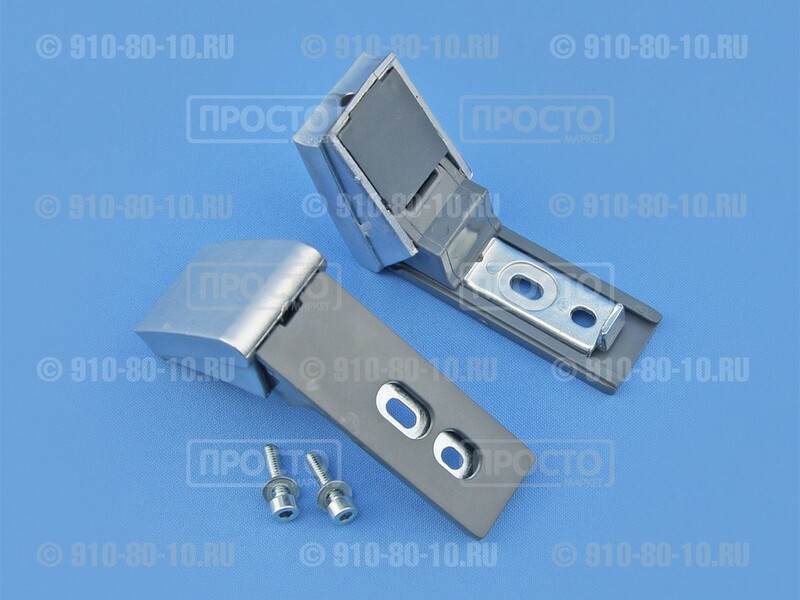 Неоригинальный комплект для ремонта ручки для всех моделей холодильников Liebherr (Либхер) серебряного цвета с железными ручками. Арт. 9590178. 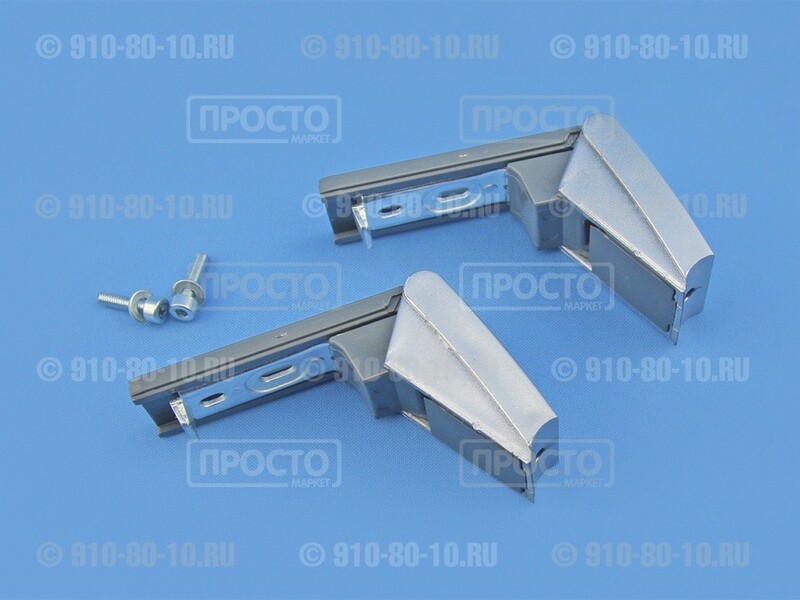 Старый артикул:9590124 - не усиленный, 9590128, 9590174, 9590170. 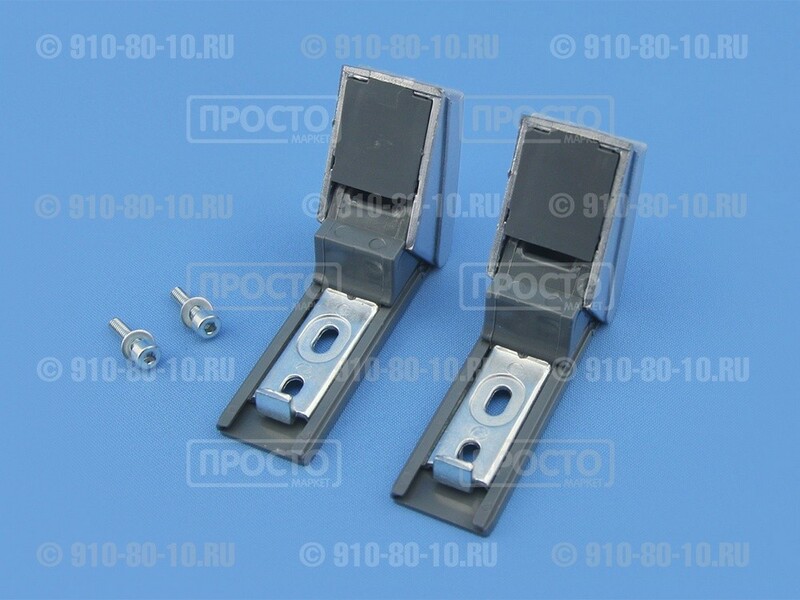 В комплекте саморезы, втулки, внутренние накладки. 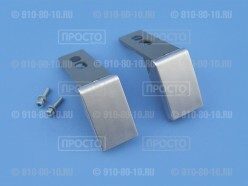 Подходят к моделям:CBNPef3756-20A, CBNPef3756-20A, CBNPes3756-20D, CBNPes3756-20D, CBNPes3756-20E, CBNPes3756-20E, CBNPes3756-20F, CBNPes3756-20F, CBNPes3756-21, CBNPes3756-21, CBNPes3756-21A, CBNPes3756-21A, CBNPes3756-21B, CBNPes3756-21B, CBNPes3756-21C, CBNPes3756-21C, CBNPes3756-21D, CBNPes3756-21D, CBNPes3756-21E, CBNPes3756-21E, CBNPes3956-20O, CBNPes3956-20O, CBNPes3956-20P, CBNPes3956-20P, CBNPes3956-21, CBNPes3956-21, CBNPes3956-21A, CBNPes3956-21A, CBNPes3956-21C, CBNPes3956-21C, CBNPes3956-21D, CBNPes3956-21D, CBNPes3967-20C, CBNPes3967-20C, CBNPes3967-20D, CBNPes3967-20D, CBNPes3967-20E, CBNPes3967-20E, CBNPes3967-20F, CBNPes3967-20F, CBNPes3967-20G, CBNPes3967-20G, CBNPes3967-20I, CBNPes3967-20I, CBNPes3967-20J, CBNPes3967-20J, CBNPes3967-20K, CBNPes3967-20K, CBNPes3976-20D, CBNPes3976-20D, CBNPes3976-20F, CBNPes3976-20F, CBNPes3976-20G, CBNPes3976-20G, CBNPes3976-20H, CBNPes3976-20H, CBNPes3976-21, CBNPes3976-21, CBNPes3976-21A, CBNPes3976-21A, CBNPes3976-21C, CBNPes3976-21C, CBNPes3976-21D, CBNPes3976-21D, CBNPes3976-21E, CBNPes3976-21E, CBNPes3976-21F, CBNPes3976-21F, CBNes3656-20M, CBNes3656-20M, CBNes3656-20N, CBNes3656-20N, CBNes3656-21, CBNes3656-21, CBNes3656-21A, CBNes3656-21A, CBNes3656-21C, CBNes3656-21C, CBNes3956-21P, CBNes3956-21P, CBNes3956-21Q, CBNes3956-21Q, CBNes3956-22, CBNes3956-22, CBNes3956-22A, CBNes3956-22A, CBNes3956-22B, CBNes3956-22B, CBNes3957-21Q, CBNes3957-21Q, CBNes3957-21R, CBNes3957-21R, CBNes3957-22A, CBNes3957-22A, CBNes3957-22D, CBNes3957-22D, CBNes3957-22F, CBNes3957-22F, CBNesf3733-20C, CBNesf3733-20C, CBNesf3733-20D, CBNesf3733-20D, CBNesf3733-20E, CBNesf3733-20E, CBNesf3733-20F, CBNesf3733-20F, CBNesf3733-20G, CBNesf3733-20G, CBNesf3733-21, CBNesf3733-21, CBNesf3733-21A, CBNesf3733-21A, CBNesf3733-21B, CBNesf3733-21B, CBNesf3733-21C, CBNesf3733-21C, CBNesf3913-21C, CBNesf3913-21C, CBNesf3913-21D, CBNesf3913-21D, CBNesf3913-21E, CBNesf3913-21E, CBNesf3913-21F, CBNesf3913-21F, CBNesf3913-22, CBNesf3913-22, CBNesf3913-22A, CBNesf3913-22A, CBNesf3913-22B, CBNesf3913-22B, CBNesf5133-20C, CBPesf3613-20B, CBPesf3613-20B, CBPesf3613-20C, CBPesf3613-20C, CBPesf3613-20D, CBPesf3613-20D, CBPesf3613-20E, CBPesf3613-20E, CBPesf3613-21, CBPesf3613-21, CBPesf3613-21A, CBPesf3613-21A, CBPesf3613-21B, CBPesf3613-21B, CBPesf4013-20C, CBPesf4013-20C, CBPesf4013-20D, CBPesf4013-20D, CBPesf4013-20E, CBPesf4013-20E, CBPesf4013-21, CBPesf4013-21, CBPesf4013-21A, CBPesf4013-21A, CBPesf4013-21B, CBPesf4013-21B, CBPesf4033-20C, CBPesf4033-20C, CBPesf4033-20D, CBPesf4033-20D, CBPesf4033-20E, CBPesf4033-20E, CBPesf4033-20F, CBPesf4033-20F, CBPesf4033-21, CBPesf4033-21, CBPesf4033-21A, CBPesf4033-21A, CBPesf4033-21B, CBPesf4033-21B, CBPesf4033-21C, CBPesf4033-21C, CBPesf4033-21D, CBPesf4033-21D, CBPesf4043-20, CBPesf4043-20, CBPesf4043-20A, CBPesf4043-20A, CBPesf4043-20B, CBPesf4043-20B, CBPesf4043-20C, CBPesf4043-20C, CNPes4056-20B, CNPes4056-20B, CNPes4056-20C, CNPes4056-20C, CNPes4056-21, CNPes4056-21, CNPes4056-21A, CNPes4056-21A, CNPes4056-21B, CNPes4056-21B, CNPes4056-21C, CNPes4056-21C, CNPesf3513-20B, CNPesf3513-20B, CNPesf3513-20C, CNPesf3513-20C, CNPesf3513-20D, CNPesf3513-20D, CNPesf3513-21, CNPesf3513-21, CNPesf3513-21A, CNPesf3513-21A, CNPesf3513-21B, CNPesf3513-21B, CNPesf3513-21D, CNPesf3513-21D, CNPesf3513-21E, CNPesf3513-21E, CNPesf3513-21F, CNPesf3513-21F, CNPesf3913-20B, CNPesf3913-20B, CNPesf3913-20C, CNPesf3913-20C, CNPesf3913-20D, CNPesf3913-20D, CNPesf3913-21, CNPesf3913-21, CNPesf3913-21A, CNPesf3913-21A, CNPesf3913-21B, CNPesf3913-21B, CNPesf3913-21D, CNPesf3913-21D, CNPesf3913-21E, CNPesf3913-21E, CNPesf3913-21F, CNPesf3913-21F, CNPesf4003-20A, CNPesf4006-20A, CNPesf4006-20A, CNPesf4006-20B, CNPesf4006-20B, CNPesf4006-20C, CNPesf4006-20C, CNPesf4013-20B, CNPesf4013-20B, CNPesf4013-20C, CNPesf4013-20C, CNPesf4013-20D, CNPesf4013-20D, CNPesf4013-21, CNPesf4013-21, CNPesf4013-21A, CNPesf4013-21A, CNPesf4013-21C, CNPesf4013-21C, CNPesf4013-21D, CNPesf4013-21D, CNPesf4013-21E, CNPesf4013-21E, CNPesf4033-20A, CNes3513-22C, CNes3513-22C, CNes3513-22D, CNes3513-22D, CNes3513-22E, CNes3513-22E, CNes4003-22C, CNes4003-22C, CNes4003-22D, CNes4003-22D, CNes4003-23, CNes4003-23, CNes4003-23A, CNes4003-23A, CNes4003-23C, CNes4003-23C, CNes4013-23C, CNes4013-23C, CNes4013-23D, CNes4013-23D, CNes4013-23E, CNes4013-23E, CNes4013-24, CNes4013-24, CNes4013-24A, CNes4013-24A, CNes4013-24C, CNes4013-24C, CNes4023-22D, CNes4023-22D, CNes4023-22E, CNes4023-22E, CNes4023-22F, CNes4023-22F, CNes4023-22G, CNes4023-22G, CNes4023-23, CNes4023-23, CNes4023-23A, CNes4023-23A, CNes4023-23C, CNes4023-23C, CNes4023-23D, CNes4023-23D, CNesf4003-22B, CNesf4003-22B, CNesf4003-22C, CNesf4003-22C, CNesf4003-22D, CNesf4003-22D, CNesf4003-23, CNesf4003-23, CNesf4003-23A, CNesf4003-23A, CNesf4003-23B, CNesf4003-23B, CNesf4003-23D, CNesf4003-23D, CNesf4003-23E, CNesf4003-23E, CNesf5113-22, CNesf5113-22A, CNesf5113-22B, CNesf5113-22C, CNsl3033-20, CNsl3033-20A, CNsl3033-20B, CNsl3033-21, CNsl3503-20B, CNsl3503-20B, CNsl3503-20C, CNsl3503-20C, CNsl3503-21, CNsl3503-21, CNsl3503-21A, CNsl3503-21A, CNsl3503-21B, CNsl3503-21B, CNsl3503-21C, CNsl3503-21C, CNsl4003-20A, CNsl4003-20A, CNsl4003-20B, CNsl4003-20B, CNsl4003-20C, CNsl4003-20C, CNsl4003-21, CNsl4003-21, CNsl4003-21A, CNsl4003-21A, CNsl4003-21C, CNsl4003-21C, CPesf3413-20, CPesf3413-21, CPesf3413-21A, CPesf3413-21B, CPesf3413-21C, CPesf3413-21D, CPesf3523-21B, CPesf3523-22, CPesf3523-22A, CPesf3523-22B, CPesf3523-22C, CPesf3523-22D, CPesf3813-20, CPesf3813-21, CPesf3813-21A, CPesf3813-21B, CPesf3813-21C, CPesf3813-21D, CPesf4023-22B, CPesf4023-23, CPesf4023-23A, CPesf4023-23B, CPesf4023-23C, CPesf4023-23D, CPesf4023-23E, CTPesf3016-21, CTPesf3016-21A, CTPesf3016-21B, CUNesf3503-21C, CUNesf3503-21C, CUNesf3523-21C, CUNesf3523-21C, CUNesf3523-21D, CUNesf3523-21D, CUNesf3523-21E, CUNesf3523-21E, CUNesf3523-22, CUNesf3523-22, CUNesf3523-22A, CUNesf3523-22A, CUNesf3523-22B, CUNesf3523-22B, CUNesf3523-22C, CUNesf3523-22C, CUNesf3533-20B, CUNesf3533-20B, CUNesf3533-20C, CUNesf3533-20C, CUNesf3533-20D, CUNesf3533-20D, CUNesf3533-21, CUNesf3533-21, CUNesf3533-21A, CUNesf3533-21A, CUNesf3533-21B, CUNesf3533-21B, CUNesf3533-21D, CUNesf3533-21D, CUNesf3533-21E, CUNesf3533-21E, CUNesf3533-21F, CUNesf3533-21F, CUNesf3903-21C, CUNesf3903-21C, CUNesf3923-21C, CUNesf3923-21C, CUNesf3923-21D, CUNesf3923-21D, CUNesf3923-21E, CUNesf3923-21E, CUNesf3923-22, CUNesf3923-22, CUNesf3923-22A, CUNesf3923-22A, CUNesf3923-22B, CUNesf3923-22B, CUNesf3923-22C, CUNesf3923-22C, CUNesf3933-20A, CUNesf3933-20A, CUNesf3933-20B, CUNesf3933-20B, CUNesf3933-20C, CUNesf3933-20C, CUNesf3933-21, CUNesf3933-21, CUNesf3933-21A, CUNesf3933-21A, CUNesf3933-21B, CUNesf3933-21B, CUNesf3933-21D, CUNesf3933-21D, CUNesf3933-21E, CUNesf3933-21E, CUNesf3933-21F, CUNesf3933-21F, CUPesf2721-24, CUPesf2721-24A, CUPesf2721-24B, CUPesf2721-24C, CUPesf2721-24D, CUPesf2721-24E, CUPesf2901-22, CUPesf2901-22A, CUPesf2901-22B, CUPesf2901-22C, CUPesf2901-22D, CUPesf2901-22E, CUPesf2901-22F, CUPesf3513-20, CUPesf3513-20A, CUPsl2221-21, CUPsl2221-21A, CUPsl2221-21B, CUPsl2221-21C, CUPsl2221-21D, CUPsl2721-21, CUPsl2721-21A, CUPsl2721-21B, CUPsl2721-21C, CUPsl2721-21D, CUPsl2721-21E, CUPsl2901-20, CUPsl2901-20A, CUPsl2901-21, CUPsl2901-21A, CUPsl2901-21B, CUPsl2901-21C, CUPsl2901-21D, CUPsl2901-21E, CUPsl2901-21F, CUPsl3021-21, CUPsl3021-21A, CUPsl3021-21B, CUPsl3021-21C, CUPsl3021-21D, CUPsl3021-21E, CUPsl3221-21, CUPsl3221-21A, CUPsl3221-21B, CUPsl3221-21C, CUPsl3503-20, CUPsl3513-20, CUPsl3513-20A, CUesf4023-22, CUesf4023-23, CUesf4023-23A, CUesf4023-23B, CUesf4023-23C, CUsl3503-20, CUsl3503-21, CUsl3503-21A, CUsl3503-21B, CUsl3503-21C, Ces4023-23C, Ces4023-24, Ces4023-24A, Ces4023-24B, GNes3076-22G, GNes3076-22H, GNes3076-22I, GNes3076-22K, GNes3076-22L, KBPes3864-20, KBPes3864-20A, KBPes3864-20B, KBes3160-23A, KBes3160-24, KBes3160-24A, KBes3160-24B, KBes3660-23A, KBes3660-24, KBes3660-24A, KBes3660-24B, KBes3864-20F, KBes4260-23A, KBes4260-24, KBes4260-24A, KBes4260-24B, KBesf4210-21B, KPesf3620-21, KPesf3620-21A, KPesf3620-21C, KPesf3620-21D, KPesf4220-21, KPesf4220-21A, KPesf4220-21C, KPesf4220-21D, Kes4270-22F, Kes4270-23, Kes4270-23A, Kes4270-23B, SBNes3210-24E, SBNes3210-24E, SBNes3210-24F, SBNes3210-24F, SBNes3210-25, SBNes3210-25, SBNes3210-25A, SBNes3210-25A, SBNes3210-25B, SBNes3210-25B, SBNes3210-25D, SBNes3210-25D, SBNes3210-25E, SBNes3210-25E, SBNes3210-25F, SBNes3210-25F, SGNes2710-24B, SGNes2710-24C, SGNes2710-24D, SGNes2710-24E, SGNes3010-24A, SGNes3010-24B, SGNes3010-24C, SGNes3010-24D, SGNes3010-24E, SGNes3010-24F, SGNes3011-24B, SGNes3011-24C, SGNes3011-24D, SGNes3011-24E, SGNes3011-24G, SGNes3011-24I, SGNes3013-20B, SGNes3013-20C, SGNes3013-20D, SGNes3013-20E, SGNes3013-20G, SGNes3013-20H, SGNesf3033-20A, SGNesf3063-23A, SGNesf3063-24A, SGNesf3063-24B, SGNesf3063-24D, SGNesf3063-24E, SGNesf3073-20A, SGNesf3073-20B, SGNesf3073-20D, SGNesf3073-20E, SKBes4210-24B, SKBes4210-24C, SKBes4210-24D, SKBes4210-24E, SKBes4213-21B, SKBes4213-21C, SKBes4213-21D, SKBes4213-21E, SKBes4214-20, SKBes4214-20A, SKBes4214-20B, SKBes4214-20C, SKBes4214-20D, SKBes4214-20E, SKes3610-24A, SKes3610-24B, SKes3610-24C, SKes3610-24D, SKes4210-24, SKes4210-24A, SKes4210-24B, SKes4210-24C, SKes4210-24D, SKesf4230-20A, SKesf4240-23A, SKesf4240-24, SKesf4240-24A, SKesf4240-24C, SKesf4240-24D, SKesf4250-20D, SKesf4250-20E, SKesf4250-20G, SKesf4250-20H, SWTNes3010-24D, SWTNes3010-24D, SWTNes3010-24E, SWTNes3010-24E, SWTNes3010-24F, SWTNes3010-24F, SWTNes3010-24G, SWTNes3010-24G, SWTNes3010-24H, SWTNes3010-24H, SWTNes3010-24J, SWTNes3010-24J, SWTNes3010-24K, SWTNes3010-24K, SKBes4213-21B, SWTNes3010-21E, SWTNes3010-21E, SBNes3210-24E, SBNes3210-24E, SBNes3210-24F, SBNes3210-24F, SBNes3210-24H, SBNes3210-24H, SBNes3210-24K, SBNes3210-24K, SBNes3210-24L, SBNes3210-24L, SBNes3210-24M, SBNes3210-24M, SGNes3010-24A, SGNes3010-24B, SGNes3010-24C, SGNes3010-24E, SGNes3010-24F, SGNes3010-24G, SGNes3012-25B, SGNes3012-25D, SGNes3012-25F, SGNes3012-25G, SGNesf3063-23A, SGNesf3063-24A, SGNesf3063-24D, SGNesf3063-24E, SKBes4211-24A, SKBes4211-24B, SKBes4212-25B, SKBes4212-25E, SKBes4212-25F, SKBes4212-25G, SKBes4213-20A, SKes4210-24, SKes4210-24A, SKes4210-24B, SKes4210-24C, SKes4210-24E, SKes4210-24F, SKesf4240-23A, SKesf4240-24, SKesf4240-24C, SKesf4240-24D, SWTNes3010-24D, SWTNes3010-24D, SWTNes3010-24E, SWTNes3010-24E, SWTNes3010-24F, SWTNes3010-24F, SWTNes3010-24G, SWTNes3010-24G, CBNesf3733-20E, CBNesf3733-20E, CBNesf3733-20F, CBNesf3733-20F, CBNesf3733-20G, CBNesf3733-20G, CBNesf3733-21, CBNesf3733-21, CBNesf3733-21A, CBNesf3733-21A, CBNesf3733-21B, CBNesf3733-21B, CBNesf3733-21C, CBNesf3733-21C, KBes4260-23A, KBes4260-24, KBes4260-24A, KBes4260-24B, SGNes3010-25A, SGNes3010-25B, SGNes3010-25C, SGNes3010-25D, SGNes3010-25E, SKBes4210-25A, SKBes4210-25B, SKBes4210-25C, SKBes4210-25D, SKBes4210-25E, CBNesf3913-21C, CBNesf3913-21C, CBNesf3913-21D, CBNesf3913-21D, CBPesf3613-20B, CBPesf3613-20B, CBPesf3613-20C, CBPesf3613-20C, CBPesf3613-20E, CBPesf3613-20E, CBPesf4013-21, CBPesf4013-21, CBPesf4013-21A, CBPesf4013-21A, CBPesf4033-21B, CBPesf4033-21B, CBPesf4033-21C, CBPesf4033-21C, CBPesf4033-21D, CBPesf4033-21D, CNPesf4003-20A, CNPsl3503-20D, CNPsl3503-20D, CNPsl3503-20G, CNPsl3503-20G, CNPsl3503-20H, CNPsl3503-20H, CNes3513-22C, CNes3513-22C, CNes3513-22D, CNes3513-22D, CNes4013-23C, CNes4013-23C, CNes4013-23D, CNes4013-23D, CNes4013-23E, CNes4013-23E, CNesf4003-22B, CNesf4003-22B, CNesf5113-22, CNesf5113-22B, CNesf5113-22C, CNesf5113-22D, CNesf5113-22E, CNsl3033-20, CNsl3033-20A, CNsl3033-20B, CNsl3033-21, CNsl3503-20B, CNsl3503-20B, CNsl3503-20C, CNsl3503-20C, CNsl3503-21, CNsl3503-21, CNsl3503-21A, CNsl3503-21A, CNsl3503-21B, CNsl3503-21B, CNsl3503-21C, CNsl3503-21C, CPesf3523-21B, CPesf3523-22, CPesf3523-22A, CPesf3523-22B, CPesf3523-22C, CPesf3523-22D, CPesf4023-23B, CPesf4023-23C, CPesf4023-23D, CPesf4023-23E, CTPesf3016-21, CTPesf3016-21A, CUPsl2721-21, CUPsl2721-21A, CUPsl2721-21B, CUPsl2721-21C, CUPsl2721-21D, CUPsl2721-21E, CUPsl2901-20, CUPsl2901-20A, CUPsl3021-21, CUPsl3021-21A, CUPsl3021-21B, CUPsl3021-21D, CUPsl3221-21, CUPsl3221-21A, CUPsl3221-21B, CUPsl3221-21C, CUsl3503-20, KBesf4210-21B, KBesf4210-22, KBesf4210-22A, KBesf4210-22B, KBesf4210-22C, Kes4270-22F, SKBes4213-21B, SKBes4213-21C, SKBes4213-21D, SKBes4213-21E, SKBes4214-20, SKBes4214-20A, SKBes4214-20B, SKBes4214-20C, SKes4210-24, SKes4210-24A, SKes4210-24B, SKes4210-24C, SKes4210-24D, SBNes3210-24D, SBNes3210-24D, SBNes3210-24E, SBNes3210-24E, SBNes3210-24H, SBNes3210-24H, SBNes3210-24J, SBNes3210-24J, SGNes3010-24D, SGNes3010-24E, SKBes4210-24D, SKBes4213-21A, SKBes4213-21B, SKBes4213-21D, SKBes4213-21E, SKes4210-24A, SKes4210-24C, SKes4210-24D, SWTNes3010-24C, SWTNes3010-24C, SWTNes3010-24F, SWTNes3010-24F, SWTNes3010-24G, SWTNes3010-24G, SKBes4211-24C, SKBes4211-24F, SWTNes3010-24G, SWTNes3010-24G, SWTNes3010-24J, SWTNes3010-24J, SKBes4211-24B, SKBes4211-24C, SKBes4211-24F, SWTNes3010-24D, SWTNes3010-24D, SWTNes3010-24J, SWTNes3010-24J, SWTNes3010-24K, SWTNes3010-24K, CNes4056-21J, CNes4056-21J, SGNes3010-24A, SGNes3010-24B, SGNes3010-24C, SGNes3010-24G, SGNesf3063-23A, SGNesf3063-24A, SGNesf3063-24B, SGNesf3063-24E, SKBes4210-24C, SKBes4210-24H, SKes4210-24, SKes4210-24A, SKesf4240-23A, SKesf4240-24, SKesf4240-24A, SKesf4240-24C, SKesf4240-24E, SBNes3210-24E, SBNes3210-24E, SBNes3210-24F, SBNes3210-24F, SBNes3210-24G, SBNes3210-24G, SBNes3210-24H, SBNes3210-24H, SBNes3210-24J, SBNes3210-24J, SBNes3210-24K, SBNes3210-24K, SBNes3210-24L, SBNes3210-24L, SGNes3010-24D, SGNes3010-24F, SGNes3012-25B, SGNes3012-25C, SGNes3012-25D, SGNes3012-25F, SGNes3012-25G, SKBes4210-24B, SKBes4210-24C, SKBes4210-24E, SKBes4210-24F, SKBes4211-24B, SKBes4212-25B, SKBes4212-25E, SKBes4212-25F, SKBes4213-20, SKBes4213-20C, SKes4210-24, SKes4210-24A, SKes4210-24B, SKes4210-24C, SKes4210-24E, SKes4210-24F, SWTNes3010-24D, SWTNes3010-24D, SWTNes3010-24G, SWTNes3010-24G, SWTNes3010-24J, SWTNes3010-24J, CNPesf3513-10A, CNPesf3513-10A, CNPesf3513-10B, CNPesf3513-10B, CNPesf3513-10C, CNPesf3513-10C, SBNes3210-13H, SBNes3210-13H, SBNes3210-13L, SBNes3210-13L, SKes4210-13C, SKes4210-13E, SKes4210-13F, SGNes3013-20B, SKBes4214-20, SKBes4214-20A, SKBes4214-20B,BNes2956-21D, BNes2966-21E, BNes2966-23, BNes2966-23A, BNes2966-23B, BNes2966-23C, BNes3256-20, BNes3256-20, BNes3256-20A, BNes3256-20A, BNes3256-20B, BNes3256-20B, BNes3256-20Z, BNes3256-20Z, BNes3256-21, BNes3256-21, CBN3857-20, CBN3857-20, CBN3857-20C, CBN3857-20C, CBN3857-20D, CBN3857-20D, CBN3857-20E, CBN3857-20E, CBN3857-20F, CBN3857-20F, CBNPes3956-20, CBNPes3956-20, CBNPes3956-20A, CBNPes3956-20A, CBNes3656-20A, CBNes3656-20A, CBNes3656-20B, CBNes3656-20B, CBNes3656-20C, CBNes3656-20C, CBNes3856-21B, CBNes3856-21B, CBNes3856-21C, CBNes3856-21C, CBNes3856-21D, CBNes3856-21D, CBNes3856-21E, CBNes3856-21E, CBNes3856-21F, CBNes3856-21F, CBNes3856-21G, CBNes3856-21G, CBNes3856-22Z, CBNes3856-22Z, CBNes3857-20F, CBNes3857-20F, CBNes3857-20G, CBNes3857-20G, CBNes3857-20H, CBNes3857-20H, CBNes3857-20I, CBNes3857-20I, CBNes3857-20J, CBNes3857-20J, CBNes3857-20K, CBNes3857-20K, CBNes3857-20L, CBNes3857-20L, CBNes3857-20M, CBNes3857-20M, CBNes3956-20, CBNes3956-20, CBNes3956-20A, CBNes3956-20A, CBNes3956-20B, CBNes3956-20B, CBNes3956-21, CBNes3956-21, CBNes3956-21A, CBNes3956-21A, CBNes3956-21B, CBNes3956-21B, CBNes3957-20, CBNes3957-20, CBNes3957-20A, CBNes3957-20A, CBNes3957-20B, CBNes3957-20B, CBNes3957-20C, CBNes3957-20C, CBNes3957-21, CBNes3957-21, CBNes3957-21A, CBNes3957-21A, CBNes3957-21B, CBNes3957-21B, CBNes3957-21C, CBNes3957-21C, CBNes3966-20B, CBNes3966-20B, CBNes3967-20, CBNes3967-20, CBNes3967-20A, CBNes3967-20A, CBNes3967-20B, CBNes3967-20B, CBNes3967-20C, CBNes3967-20C, CBNes3967-20D, CBNes3967-20D, CBNes3967-21, CBNes3967-21, CBNes3967-21A, CBNes3967-21A, CBNes3967-21B, CBNes3967-21B, CBNes3967-21C, CBNes3967-21C, CBNes3967-21D, CBNes3967-21D, CBNes3976-20A, CBNes3976-20D, CBNes3976-20E, CBNes3976-20I, CBNes3976-20J, CBNes3976-20K, CBPes3656-20A, CBPes3656-20A, CBPes3656-20B, CBPes3656-20B, CBPes3656-20C, CBPes3656-20C, CBPes3656-20E, CBPes3656-20E, CBPes4056-20A, CBPes4056-20A, CBPes4056-20B, CBPes4056-20B, CBPes4056-21A, CBPes4056-21A, CBPes4056-21B, CBPes4056-21B, CBPes4056-21C, CBPes4056-21C, CBes3656-20D, CBes3656-20D, CBesf4006-20, CBesf4006-20, CN3867-20, CN3867-20, CN3867-20B, CN3867-20B, CN3867-20C, CN3867-20C, CN3867-20D, CN3867-20D, CN3867-20E, CN3867-20E, CN3867-20F, CN3867-20F, CN3867-20G, CN3867-20G, CNPes3867-20A, CNPes3867-20A, CNPes3867-20B, CNPes3867-20B, CNPes3867-20C, CNPes3867-20C, CNPes3867-20D, CNPes3867-20D, CNPes3867-20E, CNPes3867-20E, CNPes3867-20F, CNPes3867-20F, CNPes3867-20G, CNPes3867-20G, CNPes3867-20H, CNPes3867-20H, CNPes3867-20I, CNPes3867-20I, CNPes3867-20J, CNa3813-20C, CNa3813-20C, CNes3366-20D, CNes3366-20D, CNes3366-20E, CNes3366-20E, CNes3366-20F, CNes3366-20F, CNes3366-20G, CNes3366-20G, CNes3366-20H, CNes3366-20H, CNes3513-21, CNes3513-21, CNes3513-21A, CNes3513-21A, CNes3513-21B, CNes3513-21B, CNes3556-20, CNes3556-20, CNes3556-20A, CNes3556-20A, CNes3556-21, CNes3556-21, CNes3556-21A, CNes3556-21A, CNes3666-20F, CNes3666-20F, CNes3666-20G, CNes3666-20G, CNes3666-20H, CNes3666-20H, CNes3666-20I, CNes3666-20I, CNes3666-20K, CNes3666-20K, CNes3666-20L, CNes3666-20L, CNes3666-20M, CNes3666-20M, CNes3666-20N, CNes3666-20N, CNes3866-20F, CNes3866-20F, CNes3866-20G, CNes3866-20G, CNes3866-20H, CNes3866-20H, CNes3866-20I, CNes3866-20I, CNes3866-20J, CNes3866-20J, CNes3866-20K, CNes3866-20K, CNes3866-20L, CNes3866-20L, CNes3866-20M, CNes3866-20M, CNes4003-20, CNes4003-20, CNes4003-21, CNes4003-21, CNes4003-21A, CNes4003-21A, CNes4003-21B, CNes4003-21B, CNes4013-20, CNes4013-20, CNes4013-21, CNes4013-21, CNes4013-22, CNes4013-22, CNes4013-22A, CNes4013-22A, CNes4013-22B, CNes4013-22B, CNes4023-20, CNes4023-20, CNes4023-20A, CNes4023-20A, CNes4023-21, CNes4023-21, CNes4023-21A, CNes4023-21A, CNes4056-20, CNes4056-20, CNes4056-20A, CNes4056-20A, CNes4056-21, CNes4056-21, CNes4056-21A, CNes4056-21A, CNes4066-20, CNes4066-20, CNes4066-20A, CNes4066-20A, CNes4066-21, CNes4066-21, CNes4066-21A, CNes4066-21A, CNes4066-21B, CNes4066-21B, CNes4066-21C, CNes4066-21D, CNes4066-21E, CNesf3033-22, CNesf3033-22A, CNesf3033-22B, CNesf3033-22C, CNesf3033-22D, CNesf3033-23, CNesf3033-23A, CNesf4003-20, CNesf4003-20, CNesf4003-20A, CNesf4003-20A, CNesf4003-21, CNesf4003-21, CNesf4003-21A, CNesf4003-21A, CNesf4003-21B, CNesf4003-21B, CTNesf3113-20, CTNesf3113-20A, CTNesf3113-20B, CTNesf3113-20C, CTNesf3113-20D, CTNesf3113-20F, CTPesf2913-22, CTPesf2913-22A, CTPesf2913-22B, CTPesf2913-22C, CTPesf2913-22D, CTPesf2913-22E, CTPesf3016-20, CTPesf3016-21, CTPesf3016-21A, CTPesf3016-21B, CTPesf3213-20, CTPesf3223-20, CTPesf3223-20A, CTPesf3223-20B, CTPesf3223-20C, CTPesf3223-20D, CTPesf3223-20E, CUNesf3513-20, CUNesf3513-20, CUNesf3513-20A, CUNesf3513-20A, CUNesf3513-21, CUNesf3513-21, CUNesf3513-21A, CUNesf3513-21A, CUNesf3513-21C, CUNesf3513-21C, CUNesf3523-20, CUNesf3523-20, CUNesf3913-20, CUNesf3913-20, CUNesf3913-20A, CUNesf3913-20A, CUNesf3913-21, CUNesf3913-21, CUNesf3913-21A, CUNesf3913-21A, CUNesf3913-21C, CUNesf3913-21C, CUNesf3923-20, CUNesf3923-20, CUNesf3923-20A, CUNesf3923-20A, CUNesf3923-20B, CUNesf3923-20B, CUPa3553-20B, CUPa3553-20B, CUPes3553-20B, CUPesf2721-22, CUPesf2721-22A, CUPesf2721-22B, CUPesf2721-22C, CUPesf2721-23, CUPesf3021-20, CUPesf3021-20A, CUPesf3021-20B, CUPesf3021-20C, CUPesf3021-21, CUPesf3553-20, CUPesf3553-20A, CUPesf3553-20B, CUPsl2721-20, CUPsl3021-20, CUa3553-20, CUa3553-20, Ca4023-20A, Ca4023-20A, GNes2566-20, GNes2566-20C, GNes2566-20D, GNes2866-20, GNes2866-20B, GNes2866-20C, GNes2866-21, GNes2866-21A, GNes2866-21B, GNes3066-20, GNes3066-20A, GNes3066-20B, GNes3066-20Z, GNes3066-22, GNes3066-22D, GNes3076-20, GNes3076-20A, GNes3076-20B, GNes3076-20Z, GNes3076-21, GNes3076-21A, Ges2723-20, Ges3123-20, KBa4250-20, KBa4250-20A, KBes3160-20, KBes3160-20A, KBes3160-20B, KBes3160-20C, KBes3160-21, KBes3160-21A, KBes3160-21B, KBes3160-21E, KBes3160-22, KBes3160-22A, KBes3650-20, KBes3650-20A, KBes3650-20B, KBes3650-21, KBes3650-21A, KBes3650-21B, KBes3650-21C, KBes3650-21D, KBes3650-21E, KBes3660-20, KBes3660-20A, KBes3660-20B, KBes3660-20C, KBes3660-21, KBes3660-21A, KBes3660-21B, KBes4250-21, KBes4250-21B, KBes4250-21D, KBes4250-21E, KBes4250-22, KBes4250-22B, KBes4250-22C, KBes4250-22D, KBes4260-20, KBes4260-20A, KBes4260-20B, KBes4260-20C, KBes4260-20Z, KBes4260-21, KBes4260-21A, KBes4260-21B, KBes4260-21C, Kes3660-20, Kes3660-20A, Kes3660-20B, Kes3660-20C, Kes3660-20D, Kes3670-20, Kes3670-20A, Kes3670-20B, Kes3670-21, Kes3670-21A, Kes4260-20, Kes4260-20B, Kes4260-20D, Kes4260-21, Kes4260-21A, Kes4260-21B, Kes4260-21C, Kes4270-20, Kes4270-20A, Kes4270-20B, Kes4270-21, Kes4270-21A, Kes4270-21B, SBNes2900-20, SBNes2900-20A, SBNes2900-20B, SBNes2900-20C, SBNes2900-21, SBNes2900-21A, SBNes2900-21B, SBNes3210-20, SBNes3210-20, SBNes3210-20A, SBNes3210-20A, SBNes3210-20B, SBNes3210-20B, SBNes3210-20C, SBNes3210-20C, SBNes3210-20Z, SBNes3210-20Z, SBNes3210-21, SBNes3210-21, SBNes3210-21A, SBNes3210-21A, SGNes2500-20, SGNes2500-20A, SGNes2500-20B, SGNes2500-20C, SGNes2500-21, SGNes2710-20, SGNes2710-20A, SGNes2710-20B, SGNes2710-20C, SGNes2710-21, SGNes2710-21A, SGNes2710-21B, SGNes2800-20, SGNes2800-20A, SGNes2800-20B, SGNes2800-21, SGNes2800-21A, SGNes3010-20, SGNes3010-20A, SGNes3010-20B, SGNes3010-20C, SGNes3010-20Z, SGNes3010-21, SGNes3010-21A, SGNes3010-21B, SGNes3011-20, SGNes3011-20A, SGNes3011-20B, SGNes3011-20C, SGNes3011-20Z, SGNes3011-21, SGNes3011-21A, SGNes3012-20, SGNes3012-20A, SGNes3012-21, SGNes3012-21A, SGNes3012-21B, SGNes3012-21C, SGNesf3063-20, SGNesf3063-20A, SGNesf3063-21, SGNesf3063-21A, SKBes3600-20, SKBes3600-20A, SKBes3600-20B, SKBes3600-20C, SKBes4200-20, SKBes4200-20A, SKBes4200-20B, SKBes4200-20E, SKBes4200-21, SKBes4210-20, SKBes4210-20A, SKBes4210-20B, SKBes4210-20C, SKBes4210-20D, SKBes4210-20Z, SKBes4210-21, SKBes4210-21A, SKBes4210-21B, SKBes4211-20, SKBes4211-20A, SKBes4211-20B, SKBes4211-20C, SKBes4211-20D, SKBes4211-21, SKBes4211-21A, SKBes4211-21B, SKBes4212-20, SKBes4212-20A, SKBes4212-20B, SKBes4212-21, SKBes4212-21A, SKBes4212-21B, SKBes4212-21C, SKBes4212-21D, SKes3600-20, SKes3600-20A, SKes3600-20B, SKes3600-20C, SKes3610-20, SKes3610-20A, SKes3610-20B, SKes3610-20C, SKes3610-21, SKes3610-21A, SKes4200-20, SKes4200-20A, SKes4200-20C, SKes4200-20D, SKes4200-21, SKes4210-20, SKes4210-20A, SKes4210-20B, SKes4210-20C, SKes4210-21, SKes4210-21A, SKesf4240-20, SKesf4240-20A, SKesf4240-21, SKesf4240-21A, SWNes2900-20, SWNes2900-20A, SWNes2900-20B, SWNes2900-20C, SWNes2900-20D, SWTNes2900-20, SWTNes2900-20A, SWTNes2900-20B, SWTNes2900-20C, SWTNes2900-20D, SWTNes2900-20E, SWTNes2900-20F, SWTNes2900-21, SWTNes2900-21A, SWTNes3010-20, SWTNes3010-20, SWTNes3010-20A, SWTNes3010-20A, SWTNes3010-20B, SWTNes3010-20B, SWTNes3010-20C, SWTNes3010-20C, SWTNes3010-21, SWTNes3010-21, SWTNes3010-21A, SWTNes3010-21A, SWTNes3010-21B, SWTNes3010-21B, SWTNes3010-21C, SWTNes3010-21C, WNes2956-21, WNes2956-23, WNes2956-23A, WTNes2956-20A, WTNes2956-21, WTNes2956-21A, WTNes2956-21C, WTNes2956-21D, WTNes2956-21F, WTNes3056-20, WTNes3056-20, WTNes3056-20A, WTNes3056-20A, WTNes3056-20B, WTNes3056-20B, WTNes3056-21, WTNes3056-21, CBN3857-20, CBN3857-20, CBN3857-20A, CBN3857-20A, CBN3857-20C, CBN3857-20C, CBN3857-20D, CBN3857-20D, CBN3857-20F, CBN3857-20F, CBNes3856-21B, CBNes3856-21B, CBNes3856-21C, CBNes3856-21C, CBNes3856-21D, CBNes3856-21D, CBNes3856-21E, CBNes3856-21E, CBNes3856-21F, CBNes3856-21F, CBNes3856-21G, CBNes3856-21G, CBNes3857-20F, CBNes3857-20F, CBNes3857-20G, CBNes3857-20G, CBNes3857-20I, CBNes3857-20I, CBNes3857-20J, CBNes3857-20J, CBNes3857-20K, CBNes3857-20K, CBNes3857-20L, CBNes3857-20L, CNes3513-20, CNes3513-20, CNes4013-20, CNes4013-20, SBNes3210-20C, SBNes3210-20C, SBNes3210-21, SBNes3210-21, SBNes3210-21A, SBNes3210-21A, SGNes3010-21, SGNes3010-21B, SGNes3012-20A, SGNes3012-21, SGNes3012-21A, SGNes3012-21B, SGNesf3063-21, SGNesf3063-21A, SKBes4211-20D, SKBes4211-21, SKBes4211-21A, SKBes4211-21B, SKBes4212-20B, SKBes4212-21, SKBes4212-21A, SKBes4212-21C, SKes4200-20, SKes4200-20C, SKes4200-21, SKes4210-20B, SKes4210-21, SKes4210-21A, SKes4210-21B, SKesf4240-21, SKesf4240-21A, SKesf4240-21B, SWTNes3010-20C, SWTNes3010-20C, SWTNes3010-21, SWTNes3010-21, SWTNes3010-21A, SWTNes3010-21A, SWTNes3010-21B, SWTNes3010-21B, SWTNes3010-21C, SWTNes3010-21C, CNes3866-20L, CNes3866-20L, CNes3866-20M, CNes3866-20M, KBes4260-20C, KBes4260-20Z, KBes4260-21, KBes4260-21C, KBes4260-21D, Kes4260-21C, Kes4270-20B, Kes4270-21, Kes4270-21B, SGNes3010-20B, SGNes3010-20C, SGNes3010-20Z, SGNes3010-21, SGNes3010-21B, SGNes3011-20B, SGNes3011-20C, SGNes3011-20Z, SGNes3012-21, SKBes4210-20D, SKBes4210-20Z, SKBes4210-21, SKBes4210-21B, SKBes4211-21, SKBes4211-21B, SKBes4212-21, SWTNes3010-20B, SWTNes3010-20B, SWTNes3010-21, SWTNes3010-21, SWTNes3010-21A, SWTNes3010-21A, SWTNes3010-21B, SWTNes3010-21B, SWTNes3010-21C, SWTNes3010-21C, BNes2966-21D, BNes2966-23, BNes3256-20A, BNes3256-20A, BNes3256-20B, BNes3256-20B, BNes3256-20Z, BNes3256-20Z, BNes3256-21, BNes3256-21, CBNes3857-20F, CBNes3857-20F, CBNes3857-20G, CBNes3857-20G, CBNes3857-20I, CBNes3857-20I, CBNes3857-20J, CBNes3857-20J, CBNes3857-20K, CBNes3857-20K, CBNes3857-20L, CBNes3857-20L, CBNes3956-20A, CBNes3956-20A, CBNes3956-20B, CBNes3956-20B, CBNes3956-21, CBNes3956-21, CBNes3957-20, CBNes3957-20, CBNes3957-20A, CBNes3957-20A, CBNes3957-20B, CBNes3957-20B, CBNes3957-20C, CBNes3957-20C, CBNes3957-21, CBNes3957-21, CBNes3957-21A, CBNes3957-21A, CBNes3957-21C, CBNes3957-21C, CBNes3967-20A, CBNes3967-20A, CBNes3967-20B, CBNes3967-20B, CBNes3967-20C, CBNes3967-20C, CBNes3967-20D, CBNes3967-20D, CBNes3967-21, CBNes3967-21, CN3867-20, CN3867-20, CN3867-20B, CN3867-20B, CN3867-20C, CN3867-20C, CN3867-20D, CN3867-20D, CN3867-20E, CN3867-20E, CN3867-20F, CN3867-20F, CN3867-20G, CN3867-20G, CNes3366-20E, CNes3366-20E, CNes3366-20F, CNes3366-20F, CNes3366-20G, CNes3366-20G, CNes3366-20H, CNes3366-20H, CNes3513-21, CNes3513-21, CNes3513-21A, CNes3513-21A, CNes3513-21B, CNes3513-21B, CNes3556-20, CNes3556-20, CNes3556-20A, CNes3556-20A, CNes3556-21, CNes3556-21, CNes3866-20G, CNes3866-20G, CNes3866-20H, CNes3866-20H, CNes3866-20I, CNes3866-20I, CNes3866-20J, CNes3866-20J, CNes3866-20L, CNes3866-20L, CNes3866-20M, CNes3866-20M, CNes4013-22, CNes4013-22, CNes4013-22A, CNes4013-22A, CNes4013-22B, CNes4013-22B, CNes4023-20, CNes4023-20, CNes4023-20A, CNes4023-20A, CNes4023-21, CNes4023-21, CNes4023-21A, CNes4023-21A, CNes4056-20, CNes4056-20, CNes4056-20A, CNes4056-20A, CNes4056-21, CNes4056-21, CNes4066-20, CNes4066-20, CNes4066-20A, CNes4066-20A, CNes4066-21, CNes4066-21, CNesf3033-22, CNesf3033-23, CNesf3033-23A, CNesf4003-20, CNesf4003-20, CNesf4003-20A, CNesf4003-20A, CNesf4003-21, CNesf4003-21, CNesf4003-21A, CNesf4003-21A, CTNesf3113-20, CTNesf3113-20B, CTNesf3113-20D, CTPesf2913-22, CTPesf2913-22B, CTPesf2913-22C, CTPesf3016-20, CTPesf3016-21, CTPesf3016-21A, CTPesf3223-20, CTPesf3223-20A, CTPesf3223-20B, CUPesf2721-22, CUPesf2721-22A, CUPesf2721-22C, CUPesf2721-23, CUPesf3021-20, CUPesf3021-20C, CUPesf3021-21, CUPesf3553-20, CUPesf3553-20A, CUPesf3553-20B, CUPsl2721-20, CUPsl3021-20, CUa3553-20, KBes3650-20, KBes3650-20A, KBes3650-20B, KBes3650-21A, KBes3650-21B, KBes3650-21C, KBes3650-21D, KBes3650-21E, KBes3660-20, KBes3660-20A, KBes3660-20B, KBes3660-20C, KBes3660-21, KBes3660-21A, KBes3660-21B, KBes4250-21, KBes4250-21B, KBes4250-21C, KBes4250-22, KBes4250-22B, KBes4250-22C, KBes4250-22D, KBes4260-20, KBes4260-20A, KBes4260-20B, KBes4260-20C, KBes4260-20Z, KBes4260-21, KBes4260-21A, KBes4260-21B, KBes4260-21D, Kes3660-20, Kes3660-20A, Kes3660-20B, Kes3660-20C, Kes3660-20D, Kes3670-20, Kes3670-20A, Kes3670-20B, Kes3670-21, Kes3670-21A, Kes4260-20, Kes4260-20B, Kes4260-20C, Kes4260-21, Kes4260-21A, Kes4260-21B, Kes4260-21C, Kes4270-20, Kes4270-20A, Kes4270-20B, Kes4270-21, Kes4270-21A, Kes4270-21B, SBNes2900-20, SBNes2900-20A, SBNes2900-20C, SBNes3210-20, SBNes3210-20, SBNes3210-20A, SBNes3210-20A, SBNes3210-20B, SBNes3210-20B, SBNes3210-20C, SBNes3210-20C, SBNes3210-20Z, SBNes3210-20Z, SBNes3210-21, SBNes3210-21, SBNes3210-21A, SBNes3210-21A, SKBes3600-20, SKBes3600-20A, SKBes3600-20B, SKBes3600-20C, SKBes4200-20, SKBes4200-20A, SKBes4200-20B, SKBes4200-20E, SKBes4210-20, SKBes4210-20A, SKBes4210-20B, SKBes4210-20C, SKBes4210-20D, SKBes4210-20Z, SKBes4210-21, SKBes4210-21A, SKBes4211-20, SKBes4211-20A, SKBes4211-20B, SKBes4211-20C, SKBes4211-20D, SKBes4211-21, SKBes4211-21A, SKBes4211-21B, SKBes4212-20, SKBes4212-20A, SKBes4212-20B, SKBes4212-21, SKBes4212-21A, SKBes4212-21B, SKBes4212-21C, SKes3600-20, SKes3600-20B, SKes3610-20, SKes3610-20A, SKes3610-20B, SKes3610-20C, SKes3610-21, SKes4200-20, SKes4200-20C, SKes4200-20D, SKes4210-20, SKes4210-20A, SKes4210-20B, SKes4210-20C, SKes4210-21, SKes4210-21A, SWTNes3010-20A, SWTNes3010-20A, SWTNes3010-20B, SWTNes3010-20B, SWTNes3010-20C, SWTNes3010-20C, SWTNes3010-21, SWTNes3010-21, SWTNes3010-21A, SWTNes3010-21A, SWTNes3010-21B, SWTNes3010-21B, BNes2966-23C, BNes2966-24, BNes2966-24B, KBes4250-21B, KBes4250-22B, KBes4250-22C, KBes4250-22D, KBes4250-23B, Kes4260-20B, Kes4260-21C, Kes4260-22, WNes2956-23D, WTNes2956-21A, WTNes2956-21D, WTNes2956-21F, WTNes2956-22, WTNes2956-22A, Kes4260-20, SBNes2900-20, SBNes2900-20C, SBNes2900-21, SBNes2900-21A, SBNes2900-21B, SKBes4211-20E, SKBes4211-20F, SKBes4211-21A, SKes4200-20, SKes4200-20D, SKes4200-21, SWNes2900-20A, SWNes2900-20B, SWNes2900-20D, SWTNes3010-20D, SWTNes3010-20D, SWTNes3010-20E, SWTNes3010-20E, SWTNes3010-20G, SWTNes3010-20G, CBNes3847-20, CBNes3847-20, CBNes3847-20A, CBNes3847-20A, SKBes4200-20A, SKBes4200-20E, SKBes4200-21A, SKBes4200-21B, SKBes4211-20D, SKBes4211-20E, SKBes4211-20G, SWTNes2900-20A, SWTNes2900-20F, SWTNes2900-21, SWTNes2900-21A, SWTNes2900-21B, SWTNes3010-20E, SWTNes3010-20E, SWTNes3010-20F, SWTNes3010-20F, SBNes3210-21, SBNes3210-21, SKes4210-21, CNes3866-20I, CNes3866-20I, CNes3866-20K, CNes3866-20K, CNes3866-20L, CNes3866-20L, GNes2866-20B, GNes2866-20D, GNes2866-21A, GNes2866-21D, Kes4260-20B, Kes4260-21, Kes4260-21C, SGNes2800-20A, SGNes2800-20D, SGNes2800-21, SGNes2800-21A, SGNes3010-20E, SGNes3010-21, SGNes3010-21B, SKBes4200-20A, SKBes4200-21, SKBes4210-20G, SKBes4210-21, SKes4200-20, SKes4200-20D, SKes4200-20E, SKes4200-21, SKes4210-20D, SKes4210-21, BNes2966-20F, Kes4260-20B, Kes4260-21, Kes4260-21C, SBNes2900-20, SBNes2900-20A, SBNes2900-20B, SBNes2900-20C, SBNes2900-21, SBNes2900-21A, SBNes2900-21B, SBNes3210-20C, SBNes3210-20C, SBNes3210-21, SBNes3210-21, SBNes3210-21A, SBNes3210-21A, SGNes2800-20B, SGNes2800-21A, SGNes3012-20C, SKBes4200-20A, SKBes4200-20D, SKBes4200-21, SKBes4200-21B, SKBes4211-21A, SKes4200-20, SKes4200-20A, SKes4200-20D, SKes4200-20E, SKes4200-21, SKes4210-20B, SKes4210-21, SKes4210-21A, SKes4210-21B, SWTNes2900-20D, SWTNes2900-20E, SWTNes2900-20F, SWTNes2900-21, SWTNes2900-21A, SWTNes2900-21B, CNes3876-10B, CNes3876-10B, CNes3876-10C, CNes3876-10C, CNes3876-10D, CNes3876-10D, CNes3876-10E, CNes3876-10E, CNes3876-10F, CNes3876-10F, CNes3876-10G, CNes3876-10G, CNes3876-11, CNes3876-11, CNes4066-10, CNes4066-10, CNes4066-10A, CNes4066-10A, CNes4066-10B, CNes4066-10B, CNes3366-20D, CNes3366-20D, CNes3366-20E, CNes3366-20E, CNes3366-20F, CNes3366-20F, CNes3366-20G, CNes3366-20G, CNes3366-20H, CNes3366-20H, CNes3556-20, CNes3556-20, CNes3556-20A, CNes3556-20A, CNes3556-21, CNes3556-21, CNes3666-20G, CNes3666-20G, CNes3666-20H, CNes3666-20H, CNes3666-20I, CNes3666-20I, CNes3666-20K, CNes3666-20K, CNes3666-20L, CNes3666-20L, CNes3666-20M, CNes3666-20M, CNes3666-20N, CNes3666-20N, CNes3866-20G, CNes3866-20G, CNes3866-20I, CNes3866-20I, CNes3866-20J, CNes3866-20J, CNes3866-20L, CNes3866-20L, CNes3866-20M, CNes3866-20M, CNes4056-20, CNes4056-20, CNes4056-21, CNes4056-21, CNesf3033-22, CNesf3033-22B, CTPesf2913-22, CTPesf2913-22A, CTPesf2913-22B, CTPesf2913-22C, CUNesf3513-20, CUNesf3513-20, CUNesf3513-21, CUNesf3513-21, CUNesf3513-21A, CUNesf3513-21A, CUNesf3513-21B, CUNesf3513-21B, CUNesf3513-21C, CUNesf3513-21C, CUNesf3913-20, CUNesf3913-20, CUNesf3913-20A, CUNesf3913-20A, CUNesf3913-21, CUNesf3913-21, CUNesf3913-21A, CUNesf3913-21A, CUPesf2721-22, CUPesf3553-20B, GNes2566-20, GNes2566-20C, GNes2566-20D, Ges2723-20, KBes3650-21A, KBes3650-21B, KBes3650-21C, KBes3650-21D, KBes4260-20, KBes4260-20B, KBes4260-20C, KBes4260-20Z, KBes4260-21, Kes3660-20, Kes3660-20A, Kes3660-20B, Kes3660-20C, Kes3660-20D, Kes3670-20, Kes3670-20A, Kes3670-20B, Kes3670-21, Kes4260-20, Kes4260-20B, Kes4260-21, Kes4260-21A, Kes4260-21B, Kes4260-21C, Kes4270-20, Kes4270-20A, Kes4270-20B, Kes4270-21, SGNes2500-20, SGNes2500-20A, SGNes2500-20B, SGNes2500-20C, SGNes2710-20, SGNes2710-20A, SGNes2710-20B, SGNes2710-20C, SGNes2710-21, SGNes2800-20A, SGNes2800-20B, SGNes3010-20, SGNes3010-20A, SGNes3010-20B, SGNes3010-20C, SGNes3010-20Z, SGNes3010-21, SGNes3010-21A, SGNes3010-21B, SGNes3011-20, SGNes3011-20A, SGNes3011-20B, SGNes3011-20C, SGNes3011-20Z, SGNes3011-21, SGNes3012-20, SGNes3012-20A, SGNes3012-21, SGNes3012-21A, SGNes3012-21B, SGNes3012-21C, SKBes4200-20A, SKBes4200-20B, SKBes4200-20E, SKBes4210-20, SKBes4210-20A, SKBes4210-20B, SKBes4210-20C, SKBes4210-20D, SKBes4210-20Z, SKBes4210-21, SKBes4210-21A, SKBes4210-21B, SKBes4211-20, SKBes4211-20A, SKBes4211-20B, SKBes4211-20C, SKBes4211-20D, SKBes4211-21, SKBes4211-21A, SKBes4212-20, SKBes4212-20A, SKBes4212-20B, SKBes4212-21, SKBes4212-21A, SKBes4212-21B, SKBes4212-21C, SKes3600-20, SKes3600-20A, SKes3600-20B, SKes3600-20C, SKes3610-20, SKes3610-20A, SKes3610-20B, SKes3610-20C, SKes3610-21, SKes4210-21, SWTNes2900-20A, SWTNes2900-20B, SWTNes2900-20C, SWTNes2900-20D, SWTNes2900-20E, SWTNes2900-20F, SWTNes3010-20, SWTNes3010-20, SWTNes3010-20A, SWTNes3010-20A, SWTNes3010-20B, SWTNes3010-20B, SWTNes3010-20C, SWTNes3010-20C, SWTNes3010-21, SWTNes3010-21, SWTNes3010-21A, SWTNes3010-21A, SWTNes3010-21B, SWTNes3010-21B, SWTNes3010-21C, SWTNes3010-21C, BNes2966-21D, CBN3857-20C, CBN3857-20C, CBN3857-20F, CBN3857-20F, CBNes3857-20E, CBNes3857-20E, CBNes3857-20F, CBNes3857-20F, CBNes3857-20G, CBNes3857-20G, CBNes3857-20I, CBNes3857-20I, CBNes3857-20J, CBNes3857-20J, CBNes3857-20K, CBNes3857-20K, CBNes3857-20L, CBNes3857-20L, CBNes3956-20, CBNes3956-20, CBNes3956-20A, CBNes3956-20A, CBNes3956-20B, CBNes3956-20B, CBNes3957-20, CBNes3957-20, CBNes3957-20A, CBNes3957-20A, CBNes3957-20B, CBNes3957-20B, CBNes3957-20C, CBNes3957-20C, CBNes3967-20, CBNes3967-20, CBNes3967-20A, CBNes3967-20A, CBNes3967-20B, CBNes3967-20B, CBNes3967-20C, CBNes3967-20C, CBNes3967-20D, CBNes3967-20D, CBPes4056-21A, CBPes4056-21A, CBPes4056-21B, CBPes4056-21B, CBes4056-20D, CNPes3867-20A, CNPes3867-20A, CNPes3867-20B, CNPes3867-20B, CNPes3867-20C, CNPes3867-20C, CNPes3867-20D, CNPes3867-20D, CNPes3867-20E, CNPes3867-20E, CNPes3867-20F, CNPes3867-20F, CNPes3867-20G, CNPes3867-20G, CNPes3867-20H, CNPes3867-20H, CNPes3867-20I, CNPes3867-20I, CNPes3867-20J, CNPes3867-20J, CNa3813-20C, CNa3813-20C, CNes3866-20G, CNes3866-20G, CNes3866-20H, CNes3866-20H, CNes3866-20I, CNes3866-20I, CNes3866-20J, CNes3866-20J, CNes3866-20K, CNes3866-20K, CNes3866-20L, CNes3866-20L, CNes3866-20M, CNes3866-20M, CNes4003-20, CNes4003-20, CNes4023-20, CNes4023-20, CNes4023-20A, CNes4023-20A, CNes4056-20, CNes4056-20, CNes4056-20A, CNes4056-20A, CNes4066-20, CNes4066-20, CNes4066-20A, CNes4066-20A, CNesf4003-20, CNesf4003-20, CNesf4003-20A, CNesf4003-20A, CUNesf3513-20, CUNesf3513-20, CUNesf3913-20, CUNesf3913-20, CUNesf3913-20A, CUNesf3913-20A, CUPa3553-20B, CUPa3553-20B, CUPesf3553-20, CUPesf3553-20A, CUPesf3553-20B, Ca4023-20C, Ca4023-20C, Kes4260-20, Kes4260-20B, Kes4260-21, Kes4260-21A, Kes4260-21B, Kes4260-21C, Kes4270-20, Kes4270-20A, Kes4270-20B, SBNes2900-20, SBNes2900-20A, SBNes2900-20B, SBNes2900-20C, SBNes2900-21, SBNes3210-20, SBNes3210-20, SBNes3210-20A, SBNes3210-20A, SBNes3210-20B, SBNes3210-20B, SBNes3210-20C, SBNes3210-20C, SBNes3210-20Z, SBNes3210-20Z, SGNes3011-20A, SGNes3011-20B, SGNes3011-20C, SGNes3011-20Z, SGNes3012-20, SGNes3012-20A, SKBes4200-20B, SKBes4200-20E, SKBes4210-20, SKBes4210-20A, SKBes4210-20B, SKBes4210-20C, SKBes4210-20D, SKBes4210-20Z, SKBes4211-20, SKBes4211-20A, SKBes4211-20B, SKBes4211-20C, SKBes4211-20D, SKBes4212-20, SKBes4212-20A, SKBes4212-20B, SKes4200-20, SKes4200-20A, SKes4200-20C, SKes4200-20D, SKes4200-21, SKes4210-20, SKes4210-20A, SKes4210-20B, SKes4210-20C, SWTNes2900-20D, SWTNes2900-20E, SWTNes2900-20F, SWTNes3010-20, SWTNes3010-20, SWTNes3010-20A, SWTNes3010-20A, SWTNes3010-20B, SWTNes3010-20B, SWTNes3010-20C, SWTNes3010-20C, CNes3866-10C, CNes3866-10C, CNes3866-10D, CNes3866-10D, CNes3866-10E, CNes3866-10E, CNes3866-10F, CNes3866-10F, CNes3866-10G, CNes3866-10G, CNes3866-11, CNes3866-11, CNes4056-10, CNes4056-10, CNes4056-10A, CNes4056-10A, CNes4056-10B, CNes4056-10B, CNes3866-10C, CNes3866-10C, CNes3866-10F, CNes3866-10F, SBNes3210-10A, SBNes3210-10A, SBNes3210-11A, SBNes3210-11A, SBNes3210-12, SBNes3210-12, SBNes3210-12A, SBNes3210-12A, SBNes3210-13A, SBNes3210-13A, SBNes3210-13E, SBNes3210-13E, SKes4210-10A. В нашем интернет-магазине вы можете купить «Ремкомплект ручки Liebherr серебристый неоригинал (9590178-1)», и получить его наиболее удобным для вас способом: в пункте самовывоза, заказав курьерскую доставку по Санкт-Петербургу или доставку по России. Купить «Ремкомплект ручки Liebherr серебристый неоригинал (9590178-1)» в Санкт-Петербурге, узнать цену, описание, техничесие характеристики, посмотреть фото вы можете в нашем интернет-магазине.